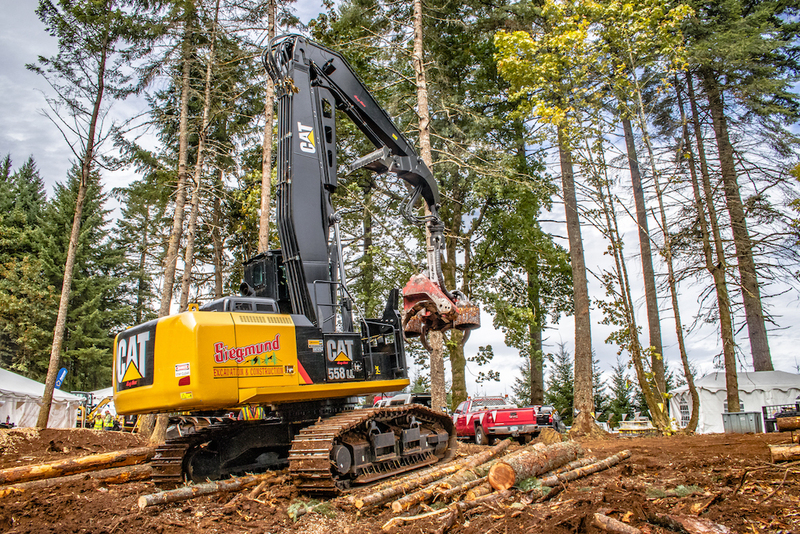 Last month Siegmund Excavation and Construction participated in the Pacific Logging Congress’s “Live in the Woods” event to demonstrate, educate, and connect with folks about work in the logging industry. Our company was honored to have been asked to be a key part of the Caterpillar Inc. and Peterson Cat display at the show. This is the 8th “Live in the Woods” event held by the Pacific Logging Congress (PLC). It is held every four years to provide professionals the opportunity to familiarize logging crews and those interested in our industry with the latest technologies and news benefiting the timber industry. 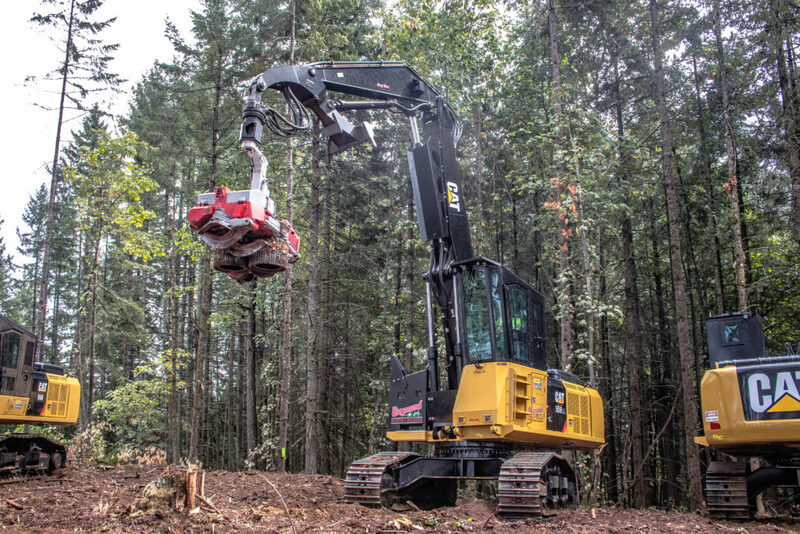 Educators, students, government representatives, loggers and the public were all invited to witness the positive, sustainable methods currently being used in our industry and watch as equipment operators demonstrated the abilities of various machines. 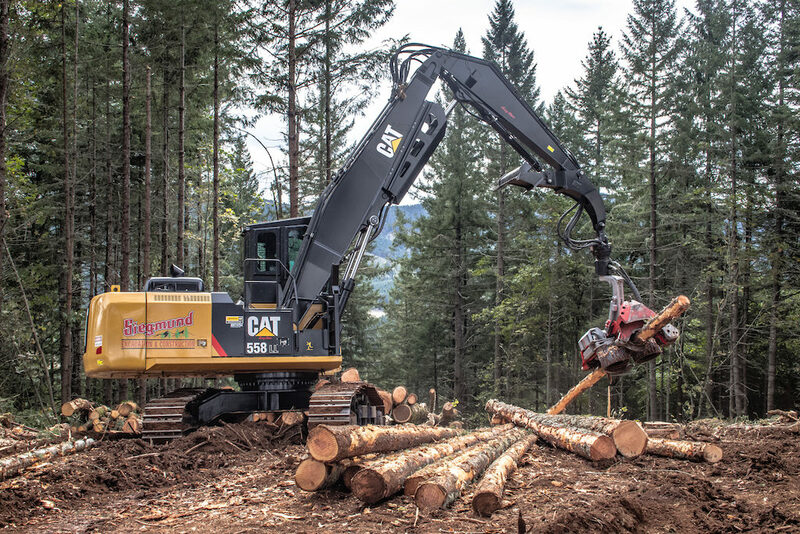 This hands-on “live” event took place on 66-acres and featured a wide range of state-of-the-art timber harvesting technology. Professional courses taught by Oregon State University professors and exhibitors were also offered to attendees who are earning professional logging credits, as well as hundreds of high school students from the PLC’s new “Adopt a High School” program who joined us to learn more about the industry and gain a better understanding of the career opportunities offered in the logging industry. Siegmund Excavation and Construction, along with other industry leading companies, played a role in the event during the live, on-site equipment demonstrations. Our crew demonstrated steep-slope cable-assist technology. 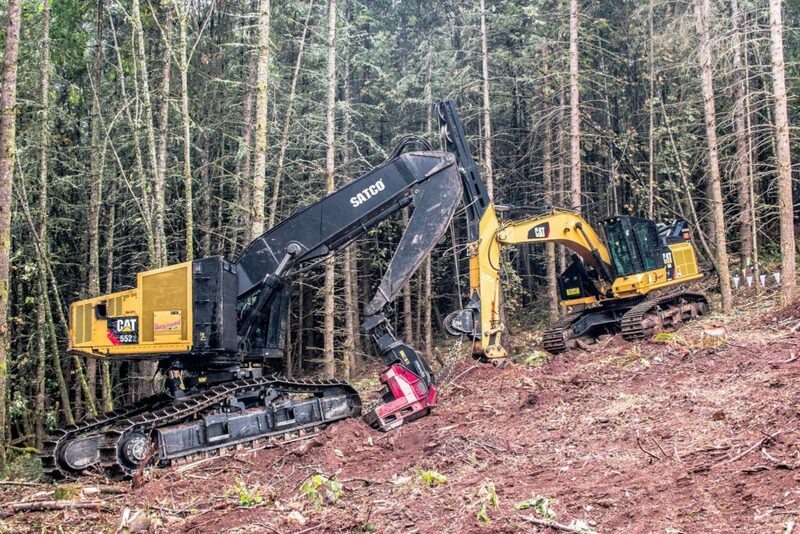 Displaying its ability to reach terrain safely and efficiently to harvest timber that would have historically been inaccessible to ground-based equipment. It also allowed us to hear from educators, researchers and other professionals and meet the next generation of logging professionals. A great experience for everyone involved. We look forward to the next “Live in the Woods” event and further collaboration with the Pacific Woods Congress as we move towards the future of the logging industry.